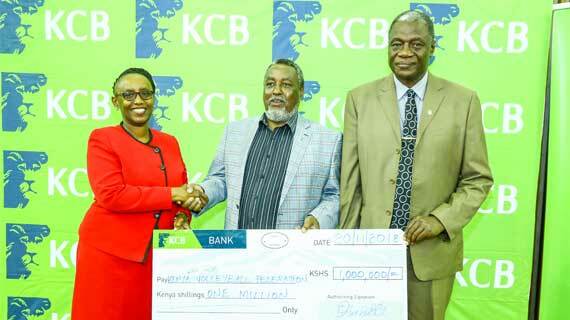 Kenya Volleyball Federation has received One Million shillings sponsorship towards this year's National League playoffs. The Kenya Volleyball Federation has on Tuesday morning received a major boost towards the preparation of the 2018 edition of the National league playoffs to be played at the National indoor arena at Kasarani. The three days’ national volleyball extravaganza will be played between 1st to 3rd December with the top team gunning for the coveted crown and a direct ticket to represent Kenya at the CAVB Continental championship. This year’s edition has received a cash injection of one million shillings from KCB. Kenya Prisons, KCB, Kenya Pipeline and Bungoma will be playing for the top women award while Prisons Kenya, KDF, KPA and GSU are out for an epic fight for the men’s title.